Build-your-own fast casual restaurants have easily elbowed their way into our lives, meeting the needs of people who want to love what they decide to spend money on and not waste time. It isn't a surprise that pizza, one of America's favorite types of food, dominates this trend with several chains around giving guests the ability to top their own round of pie. 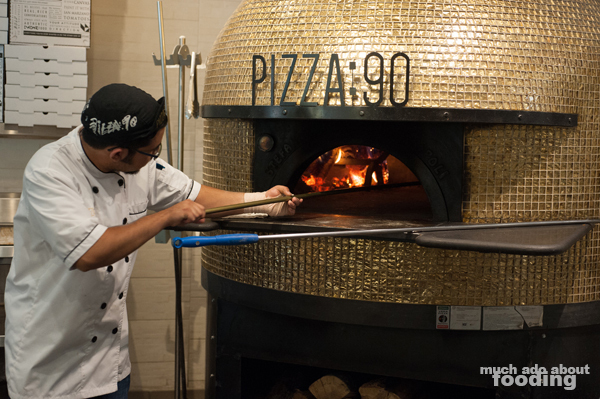 Pizza:90 in Irvine and Riverside takes the concept a little further by employing the strength of a 900° oven to blast your pizza choice from just-layered to done in 90 seconds. We were invited in for a few slices and to check out what made this one stand out from other restaurants. Pizza:90 first piqued my curiosity because of their ingredients. Though it is a fast casual concept that has guests coming in and out rapidly, they don't skimp on quality of the ingredients they have decided to use. Considering the price point, the restaurant gives diners a bang for their buck. Dough is mixed together daily in a tasty amalgam of extra-virgin olive oil, water, yeast, and 00 flour, the finest flour around. These batches are proofed for 13 hours before being worked with. I got to play with a little round of it myself, and the pliant dough had an exciting springiness to it as I worked out my week's stress playing with the thing. Just a tip if you're bringing kids here - you might be able to keep them distracted by getting a small portion for them to play with! 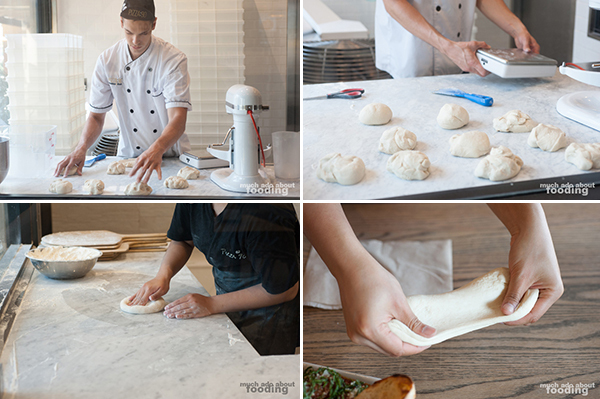 The dough is obviously cared for which is something you want as your base and food delivery vehicle. For just $8.99, you can "make it your way" by picking how you want your pizza to build whether it use San Marzano tomato sauce, fior-di-latte Mozzarella, or nutless pesto sauce for the base (red, white, and green pizzas, respectively). Next up, add your vegetables from their numerous choices including the likes of hot Calabria peppers, cherry tomatoes, jalapenos, artichokes, mushrooms, and more. Proteins span the gamut of anchovies to ground beef to pepperoni but what really interested us were the selections of Italian favorites as well such as pancetta, guanciale, and bresaola. It's obvious they care about bringing in true Italian products here. 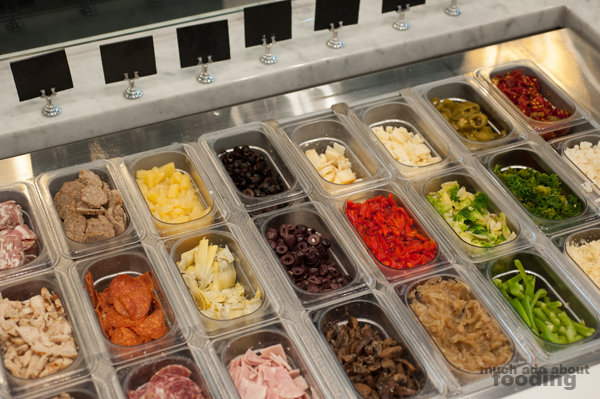 Cheese options include smoked Mozzarella, mozzarella di bufala (+$2), Pecorino, and even a housemade Kalamata olive goat cheese. Once you've made all your choices, round it all out with some draft craft beers, wine, or imported Italian soft drinks. Personally, I needed to sip myself some blood orange goodness so the imported soda was my choice, and it was tasty. Now, if you aren't up for making your own pizza, you can choose from their recommended combinations which is what we did. 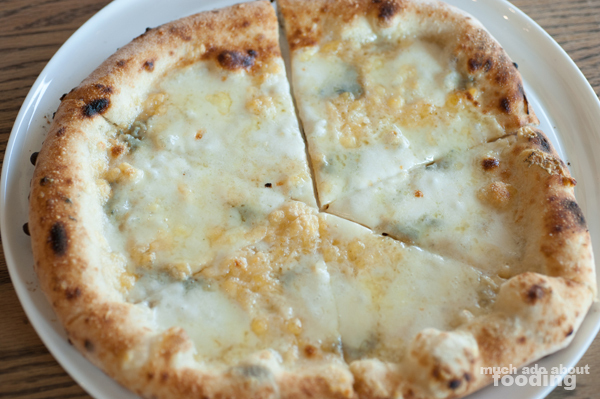 We tried the Four Cheese ($8.99 - fior-di-latte Mozzerealla, Fontina, shaved Parmigiano Reggiano, Blue cheese crumble), a thick pizza with plenty of umami loaded on top. 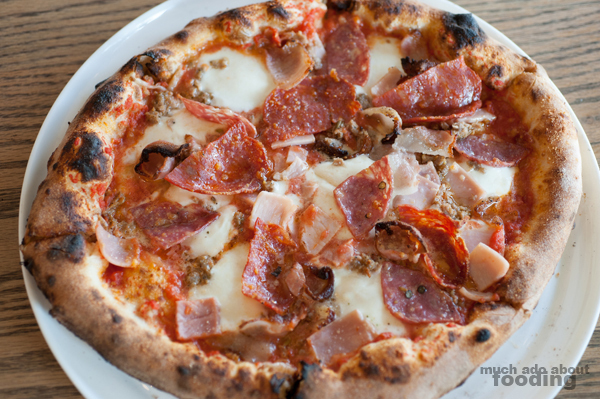 The Carnivora ($8.99 - crushed San Marzano tomato sauce, fior-di-latte Mozzarella, Italian sausage, Soppressata salami, Genoa salami, guanciale, italian ham, Pecorino Romano) represented its name well but the entire smothering of the dough with meats did cause the pizza to get soggy. 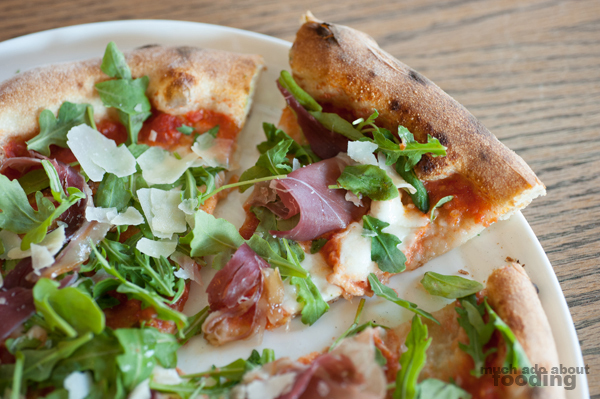 Because Neapolitan pizza is typically made thin, such heartiness can prove a problem; however, it is definitely made to satisfy the meat lover. 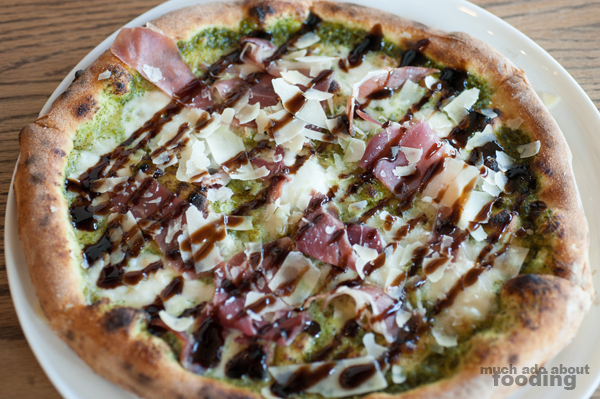 I personally enjoyed the lighter pizzas we got to try out: The Queen ($8.99 - crushed San Marzano tomato sauce, fior-di-latte Mozzerella, proscuitto di Parma, arugula, shaved Parmigiano Reggiano) and Pesto Geno ($8.99 - basil pesto sauce, fior-di-latte Mozzarella, proscuitto di Parma, shaved parmegiano reggiano, balsamic glaze), both of which were quite similar overall but with different bases. 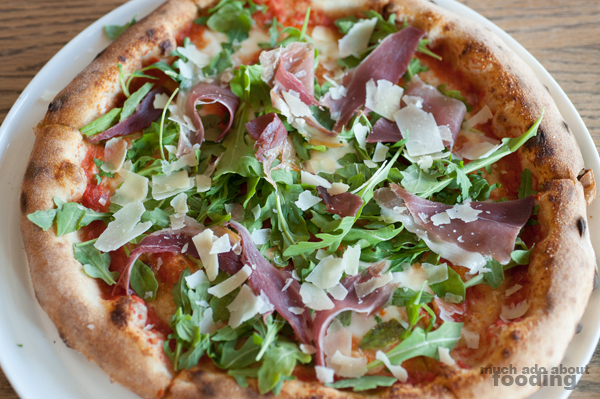 The Queen was my favorite as it was loaded with the fresh pepperiness of arugula and salty, savoriness of prosciutto. The crust was spot-on for this one, and the lack of heavy sauce kept it crunchy. The Pasta Geno garnered just about the same feedback in regards to its ingredients but the lack of red sauce made for an interesting substitute via pesto. We really enjoyed that part though the glaze made it a tad sweeter than preferred. Pizza:90 also carries other food items. 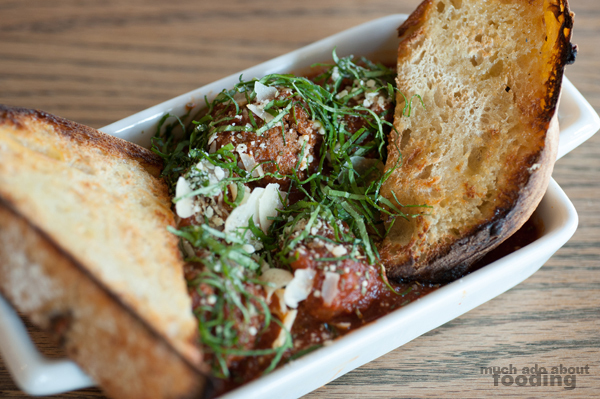 We tried their Meatballs ($3.99) which were quite lovely and a delightfully umami-laden start to our meal. 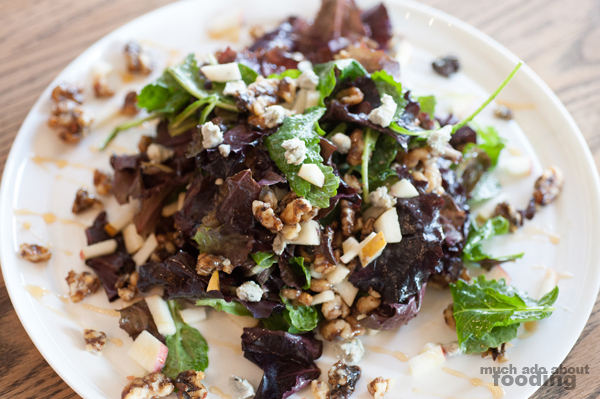 I also tasted the The Market salad ($5.99/$8.99 - baby spring mix, pear, apple, Blue cheese, toasted walnuts, and honey champagne dressing) which was surprisingly very filling and balanced well. It would have been even greater had adding chicken been an option and subsequently added - I'd definitely eat that for a lunch! They had other salads such as Caesar, Caprese, and a make your own option but the "The Market" one was the heftiest of the group. 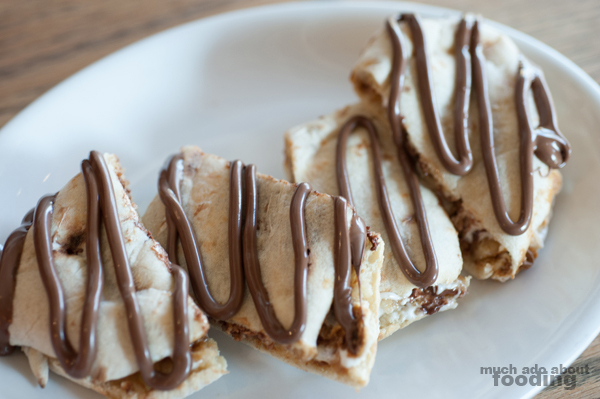 To finish the meal, we bit our teeth into Pizza:90's S'mores Calzone ($5.45), wedges of pizza dough folded over and filled with Nutella, cookie butter, marshmallows, and more. These were delighfully satisfying "end of the day" bites without a doubt. If you are searching for other types of desserts, try their imported cannolis or tiramisu. 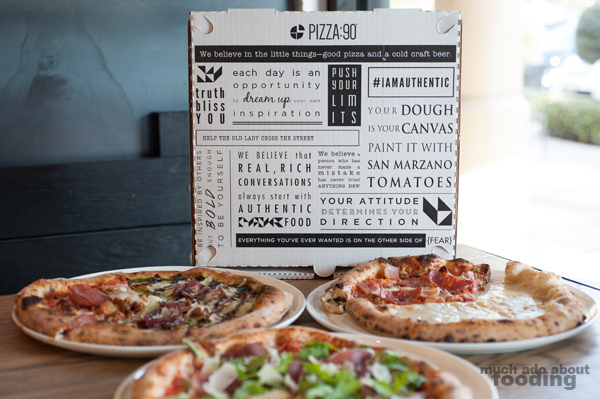 The Orange County restaurant location for Pizza:90 is in Irvine - find them at 5365 Alton Parkway, Suite 1, Irvine, CA 92604 and get your pizza pie in seconds! Another location resides in Riverside so you can be sure you can get it while traveling in that direction.